What you pay for energy is not just the cost of the electricity itself. It includes a number of non-commodity charges. This is something larger business customers know only too well. But what are these other costs – and is there anything you can do to manage them better? If you are regular reader of my blogs, you’ll already know about the government’s growing number of environmental levies and the impact these will have on energy bills. You may also be familiar with transmission costs and how Triad management can help to reduce this share of your bill. But another topic in the spotlight right now is electricity distribution costs. Electricity Distribution Costs: What Are They and How to Manage Them was the topic of a webinar we hosted for 175 participants on Thursday 6 March. Along with our own npower experts, we invited Andy Jenkins, Head of Network Trading at Northern Powergrid, to join us, plus Vicky Ellis from Energy Live News to lend an external perspective. Participants were keen to engage, and we gathered feedback to the issues discussed and the impact on businesses via a series of live votes and a Q&A session at the end. I’d like to share with you the highlights. With energy such a significant share of business overheads, larger consumers are especially keen on being able to both predict charges and manage them better to reduce costs. Electricity distribution charges cover the cost of getting energy to (and from if you generate on site and export power) your business and home via the local network of pylons, poles and underground cables that connect into the UK’s central grid managed by National Grid. They are called Distribution Use of System charges (DUoS) and typically account for around 16% of your overall electricity costs. At npower, we’ve been working alongside some of the Distribution Network Operators (DNOs) who are responsible for managing these local networks (and to whom your DUoS charges are paid) to lobby for the way these costs are notified to change. The current system provides consumers with only 40 days notice of charges for the year ahead. For bill payers, this makes budgeting very difficult – especially when DUoS charges can increase significantly from one year to the next. Northern Powergrid has proposed a change to the charging rules (DCP178) to provide far longer notice periods of tariffs. 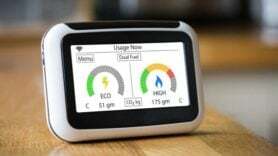 If DCP178 is approved by Ofgem, this means that your Supplier will be aware of what DUoS charges will be at least 15 months ahead of their introduction. Clearly this is preferable for consumers, providing greater predictability and budget certainty for flexible contracts with DUoS pass-through charges – and the likelihood of lower supply risk premiums for fixed price contracts. Indeed, in one of the webinar’s live votes, 33% of participants saw more predictable tariffs as the key benefit to their business if DCP 178 is implemented, with 29% citing greater transparency on costs, and 28% increased budget certainty. The Industry Working Group consultation regarding DCP 178 closes on 11 March, and your support could help to ensure this new approach is adopted when Ofgem reviews the proposal in October. Please click here to submit your views online. The aim is to get DCP 178 approved and ready to implement for April 2015/16 and April 2016/17, with cost notifications announced in December 2014. • Load Manage – review your operations to avoid heavy electricity usage at peak times (1600 to 1930 Monday to Friday), when DUoS charges are greater. • Reduce grid consumption – meeting a proportion of consumption requirements from on-site generation will also reduce DUoS charges. • Review capacity – as DUoS charges are based in part on capacity, it’s worth reviewing your capacity requirements to ensure your supply matches your current and anticipated demand. You can find out more by viewing a recording of the Electricity Distribution Costs: What Are They and How to Manage Them webinar at https://www.brighttalk.com/webcast/10003/100469. As DUoS accounts for such a sizeable share of your bill, finding out more about how this cost is charged – and what you can do to reduce it – makes sound business sense.